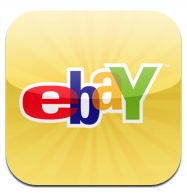 EBay has issued a press release today, recounting some of its mobile milestones this year. Most notable was the 166 percent year-over-year increase in holiday gross merchandise value (11/25-12/25) to $230 million. Designer handbags, diamond jewelry and Rolex watches topped the list for most expensive holiday purchases. For the year as a whole, top categories were clothing, shoes & accessories; cellphones & PDAs; collectibles; jewelry & watches; and toys & hobbies. 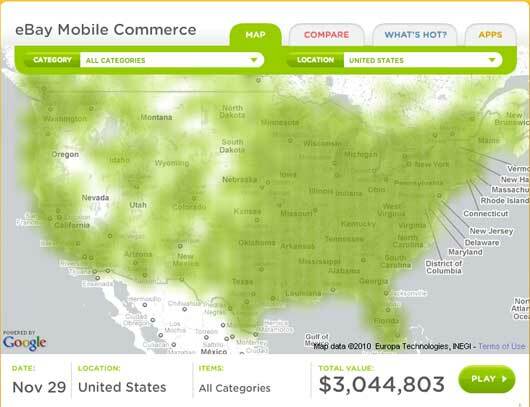 Mobile is clearly a big push for eBay, as we heard from Martin Herbst at last month’s ILM conference. Its primary iPhone app has been downloaded more than 13 million times and the entire suite of apps have been downloaded 30 million times. Meanwhile, acquisitions of Milo and RedLaser give the company a one-two punch to offer users ability to scan barcodes on the go, and see nearby store inventory. This was a natural extension, and one that will result in lots of incremental mobile usage growth.